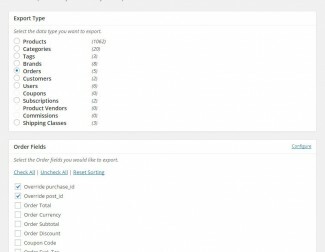 I inherited a website that’s using WooCommerce Store Exporter Deluxe. 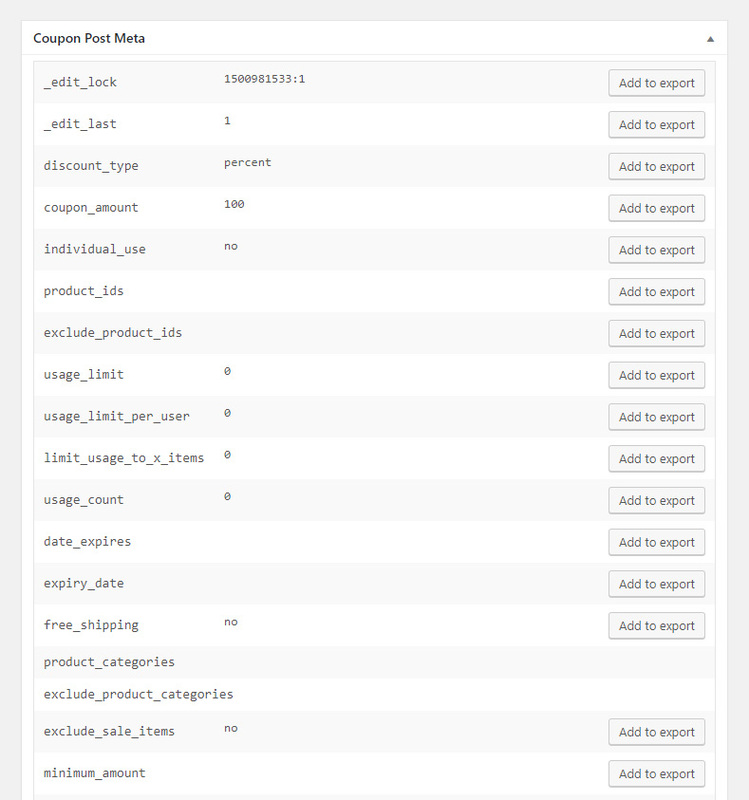 We’re experiencing some issues – cron job seems to work as it updates prices but won’t pick up new items. 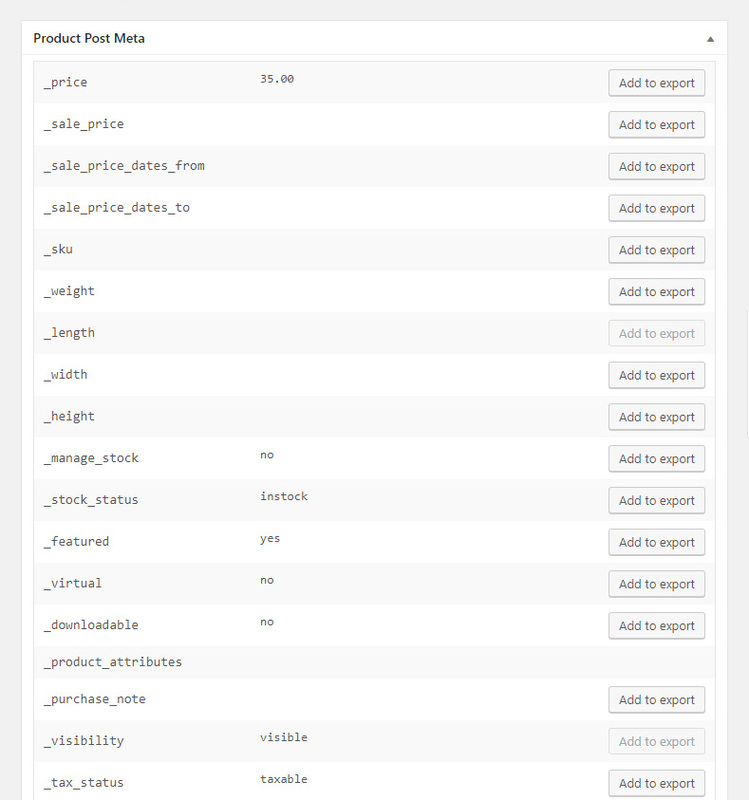 Setting the automated export works once but then changes back to “no” … now I notice that we’re running version 1.9.7 with WP 4.4.2 and WooCommerce 2.5.2. Is there something we need to consider when upgrading? The previous developer didn’t leave any login details so we’ll just buy the plugin again, but can we just upload it to the plugins folder and all will be good? This plugin looks like exactly what I need, but I have a couple of remaining questions. 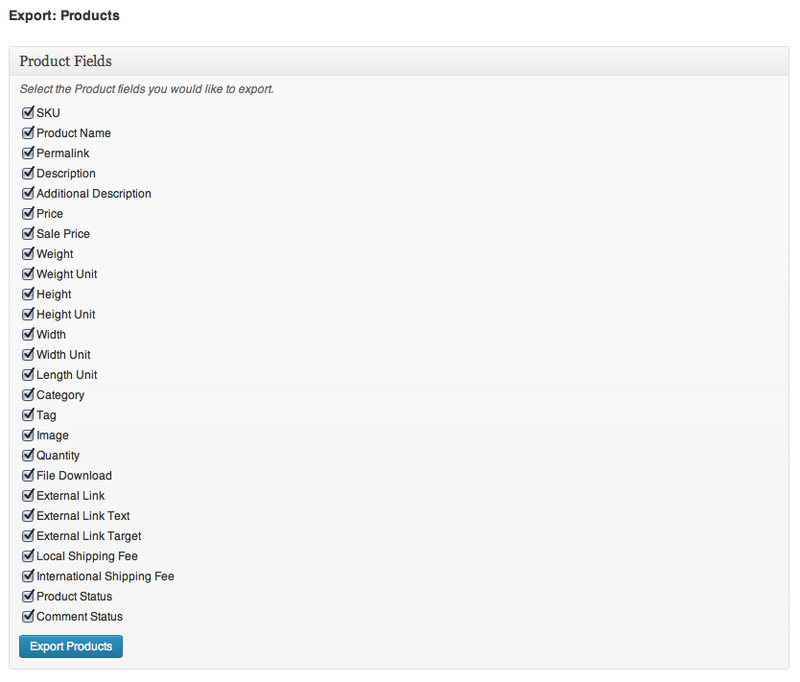 1) I’ve created a number of custom product fields through the Bookstore plugin from WPini.com. 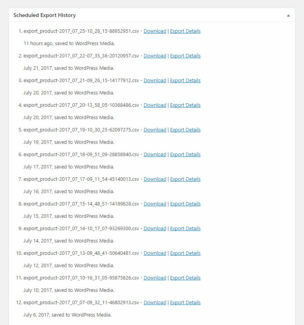 Can these be included in the export file? 2) One of the places that I’m exporting data to (AbeBooks) requires that the file be tab-delimited rather than comma-delimited. Does the delimiting field on the options screen allow me to enter the “tab” as a character? 2. 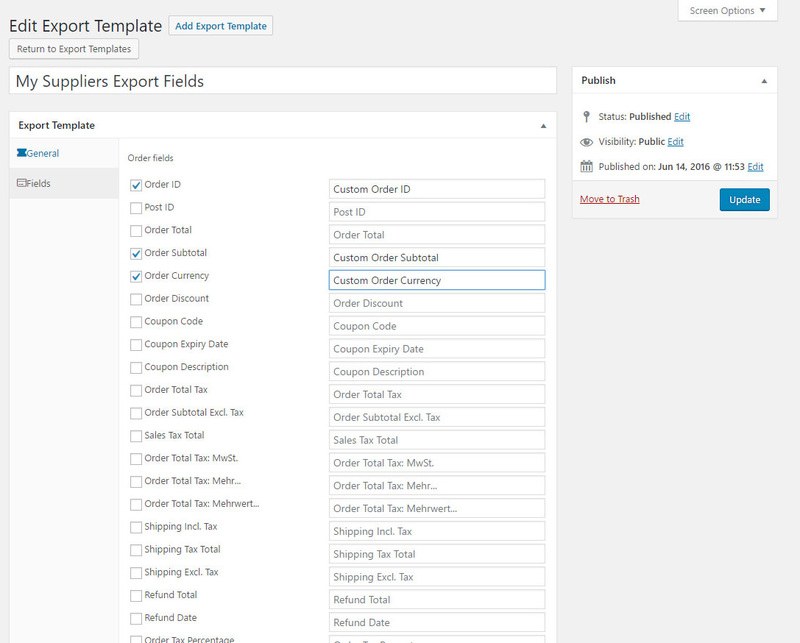 We do TSV (Tab Separated) out of the box, just select the TSV export method. One more question (hopefully the last). 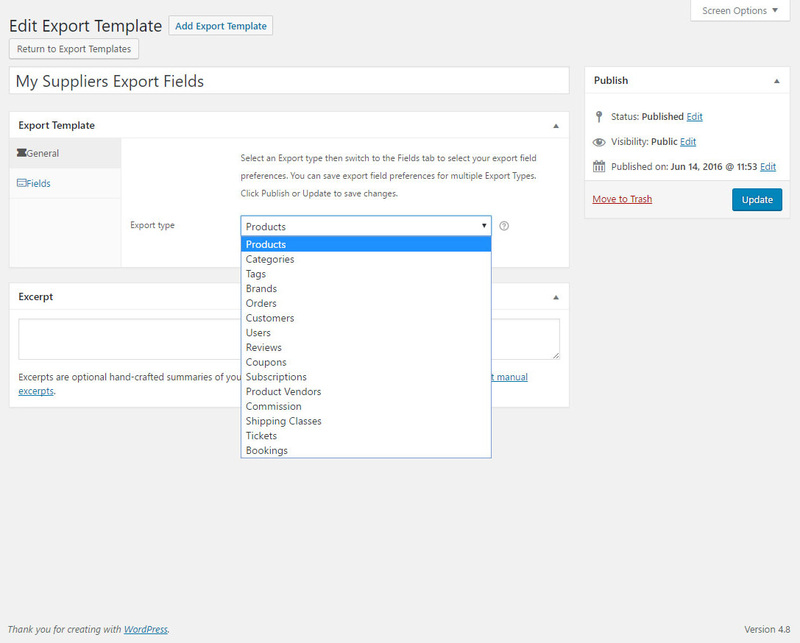 I have to export products to more than one location, each of which will undoubtedly require their own personal set of fields. Please tell me that I can have more than one export file configured at one time? 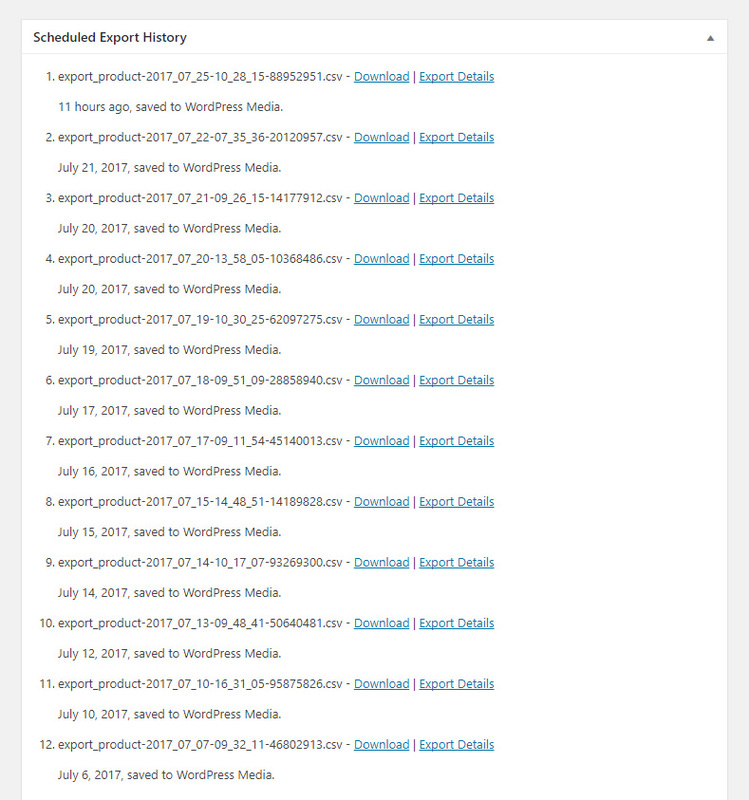 They don’t all have to be scheduled to run simultaneously, but I’ll probably need to generate up to 5 different export files, one for each recipient. Okay, so the last question wasn’t really the “last” question. 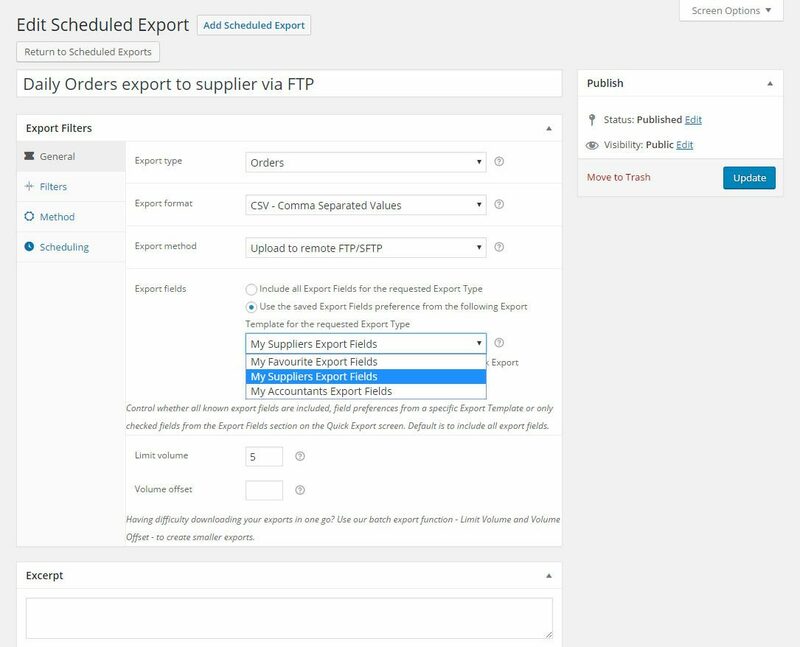 Can I filter the export data by time? I.e. 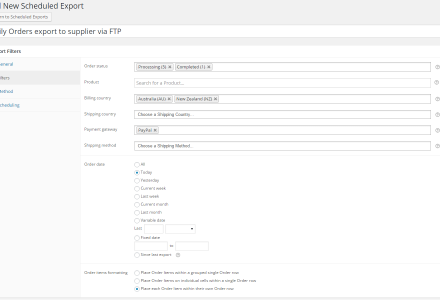 I don’t need to export ALL the products each time (there are over 150K products), only the ones that have had the stock number modified (sold or added) within a certain time frame (e.g. since last export, a fixed time range, or a custom range). Can this be done through the orders area? 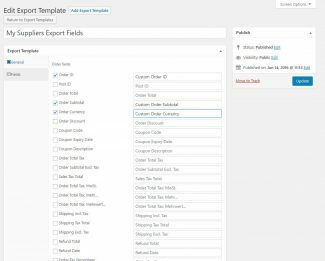 Hi, can I export custom fields (meta) for orders with this plugin? 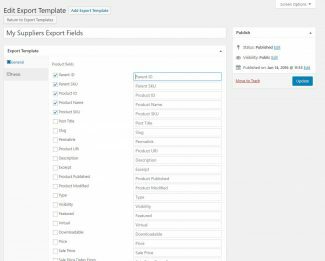 Will this plug in enable me to export a file with uniform columns for each product category and subcategory? For example, I’m selling 2 different flowers each with 2 different color options for 4 total products. Can I set up the export file so that FlowerA-red is always in column B, FlowerA-yellow is always in column C, Flower B-red is always in column D, and Flower B-yellow is always in column E? 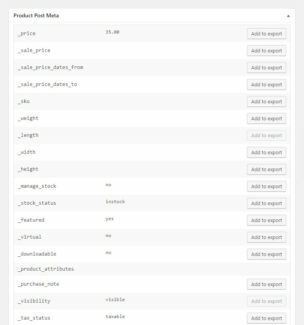 Currently, the export file shows the order the plants were purchased in, so there can be different products in each column. For example, Customer1 orders Flower B-red first and FlowerA-red second. Customer 2 orders FlowerA-red first and FlowerB-red second. 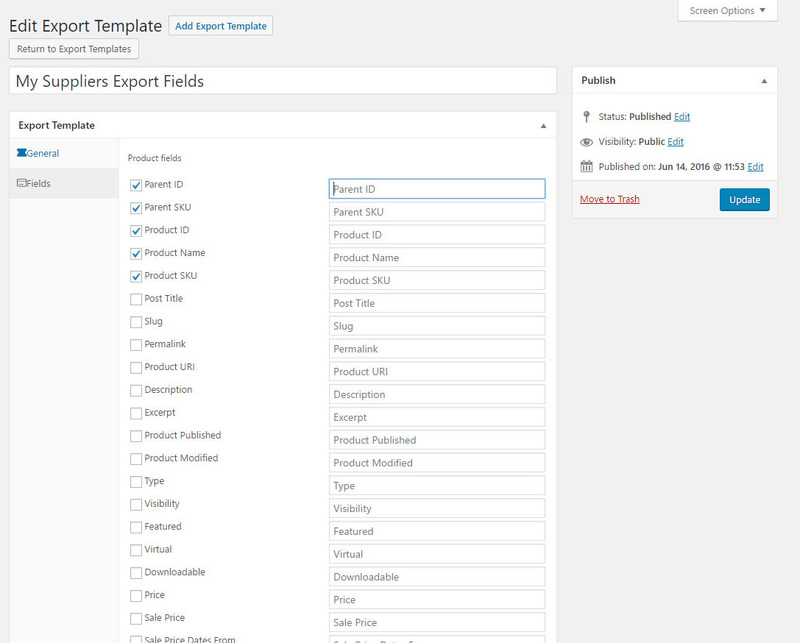 The export file shows FlowerB-red in column B for Customer one but in Column C for Customer2. 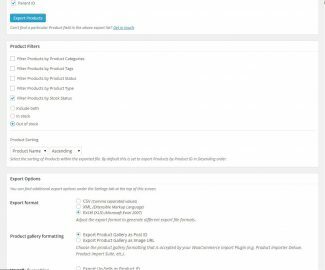 Pre sale questions – I need to have a dynamic URL link to my product data feed so that the following places can use my product data: Shopbot, My shopping, get price etc. Will I be able to do that with the store exporter deluxe? 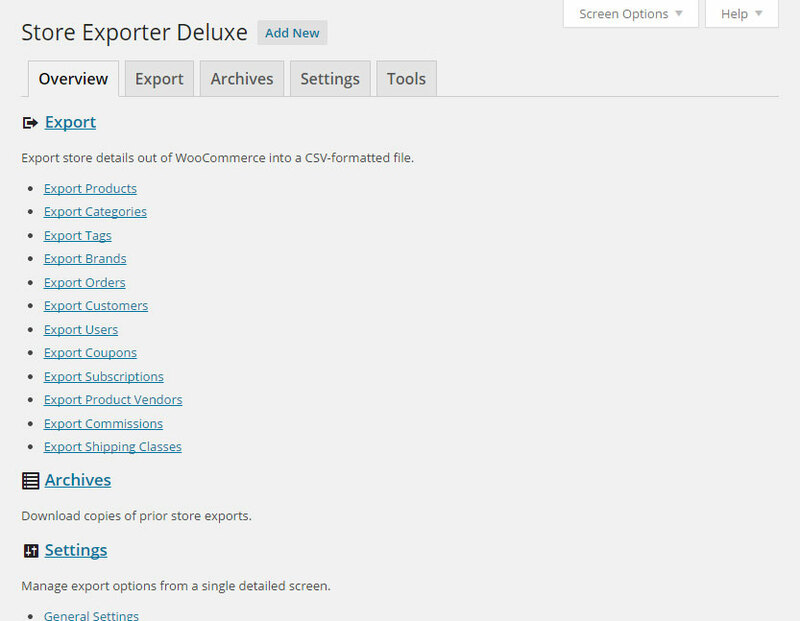 I have just purchased the Store Exporter Deluxe in order to export my customers/orders from my old website. 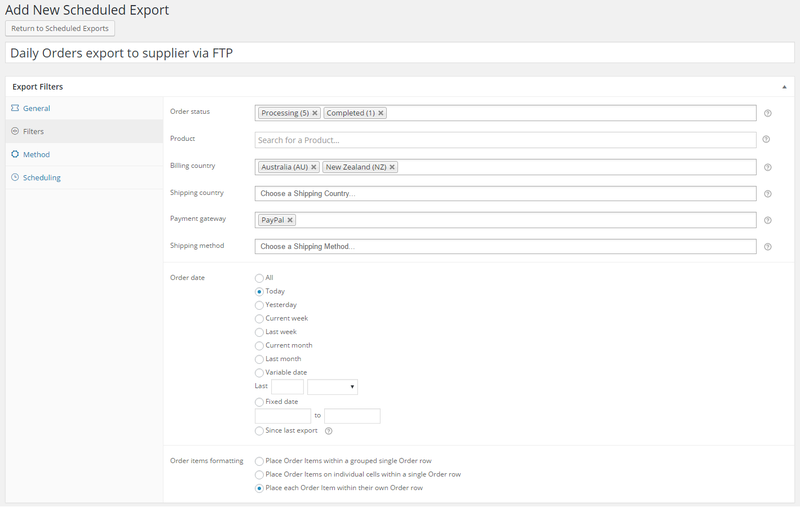 After installing the plugin there doesn’t seem to be any field check boxes within the customers section and if I go to export the orders section, nothing seems to happen other than the page refreshing. Hi Ryan, thanks for getting in touch, that doesn’t sound normal. 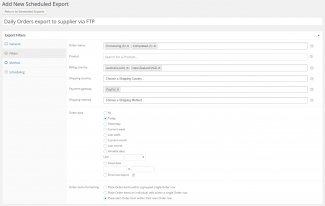 To confirm are you using WP e-Commerce or WooCommerce as I can see you have the WP e-Commerce Plugin assigned to your Order? Hi, looks like it may work. 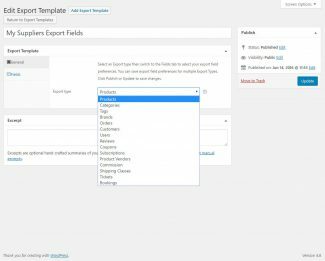 But I need to have it export and import Attribute fields. Almost bought this then saw no support for current version of woocommerce subscriptions nor handling of multiple addresses. Can you notify when that is available? Also, you should be clear that it supports the legacy version. thanks. Hi there! 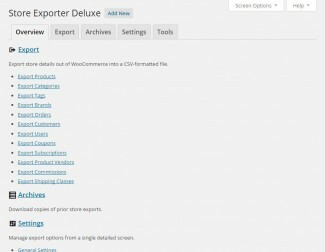 I’m interested in your Store Exporter Deluxe add-on. 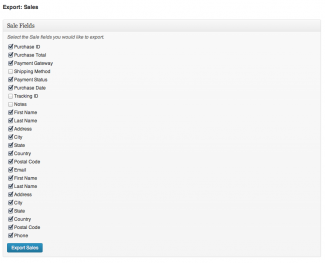 I am using WooCommerce Subscriptions (and Groups) to allow uses to subscribe to Premium content on the site (basically, a VIP new section for paid subscribers). 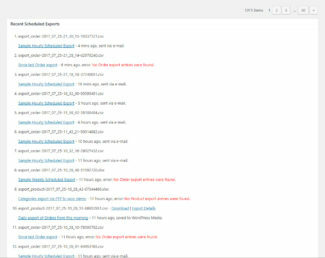 I want to know if I can use your add-on to export a list of the emails of all of my current subscribers (with Active subscriptions). Is that possible with your plugin? 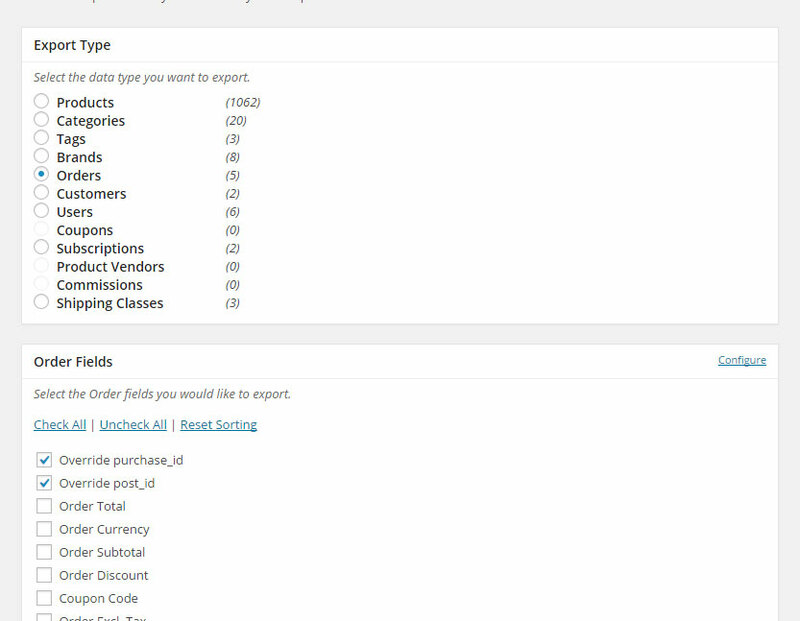 Basically, I want to be able to email all of my paid subscribers (that have Active subscriptions) — so I plan to use your tool to export the list to CSV and then import that into MailChimp. Please let me know. Thanks! 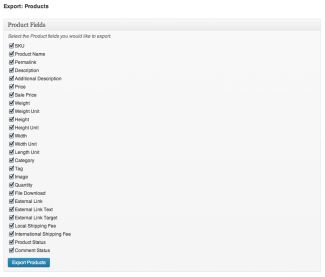 I am interested in the Pro version for the ability to export Woocommerce Subscriptions. 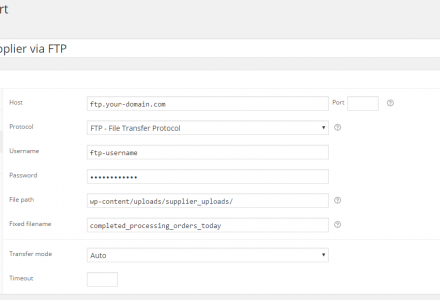 Are you able to work with the new Subscriptions functionality that allows us to manually create the Subscription through the backend (with or without an order)? E.g. instead of a customer placing a Subscription order through the checkout process. 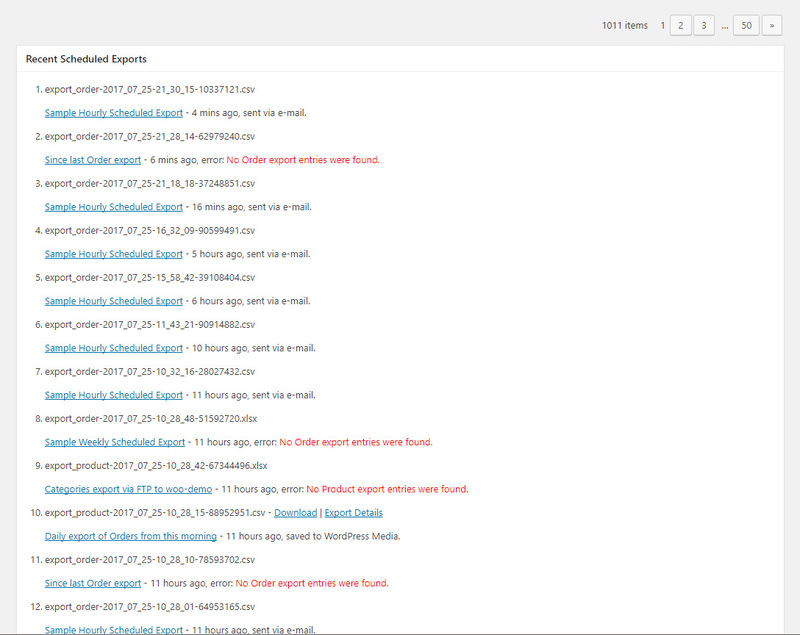 Does this mean that your plugin DOES work for exporting the emails of currently active Subscriptions? And just doesn’t work yet for the manual ones? Or no? 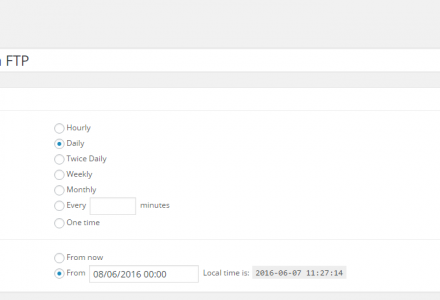 Basically, we want to be able to generate a CSV list of all of the emails of customers with Active WooCommerce Subscriptions. Can we do this with your plugin? 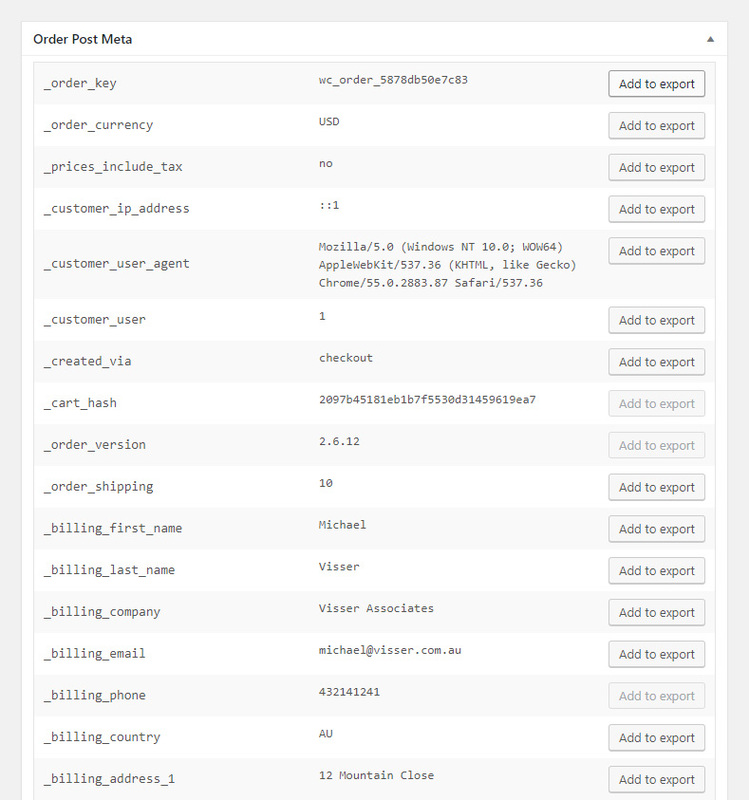 Hi John, yes that is correct, we can export Subscriptions but not manual Subscriptions and cannot filter by Status accurately using the now deprecated WCS engine. 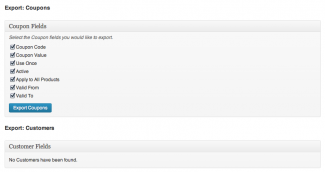 The 2.0.9 Plugin update will resolve these concerns. 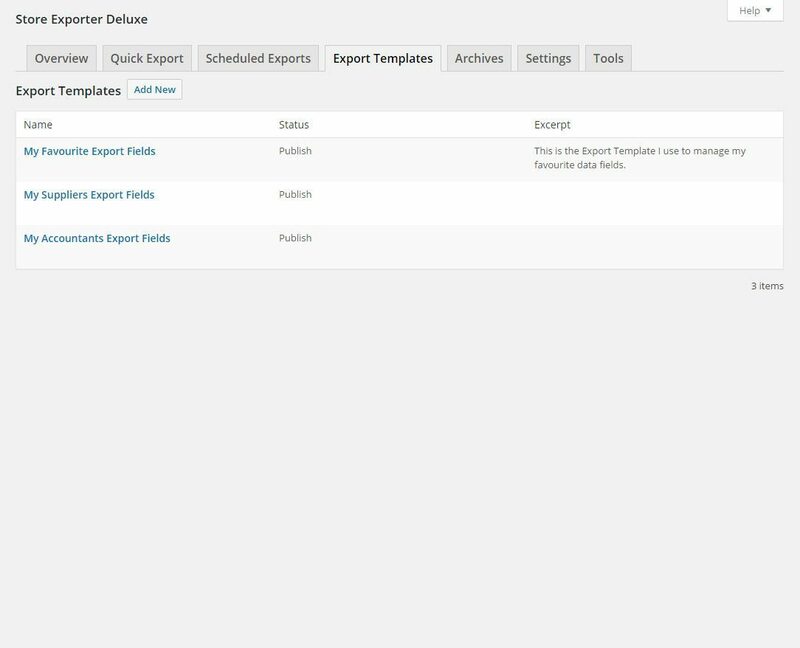 Just to note it, I’m running WordPress v4.4.2 with WooCommerce v2.4.10 — and just installed v2.0.8 of your Store Exporter Deluxe plugin and I had no problem filtering Subscriptions by Status! I was easily able to export just the ones with “Active” status as I wanted. Just wanted to pass that along for those waiting for v2.0.9. Thanks! 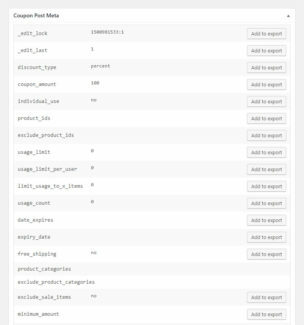 Can this plugin export the data from the “Woocommerce Ship to Multiple Addresses” plugin? 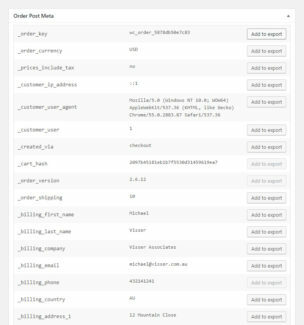 I’ve used other woocommerce export plugins but none of them seem to be able to pair the Multiple Addresses plugin data with the individual items. Simple to use, with a big range of options. 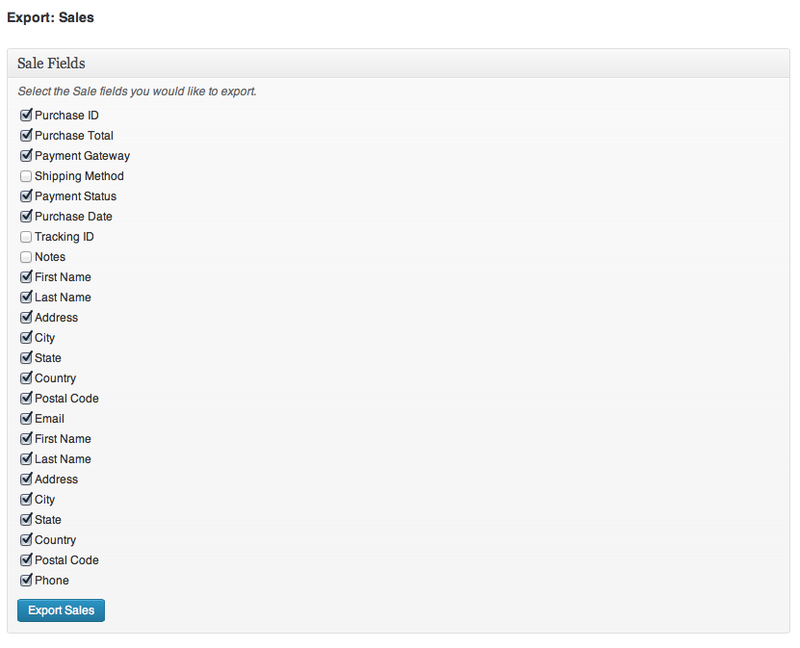 I highly recommend this addin for exporting to excel/list/… purposes! 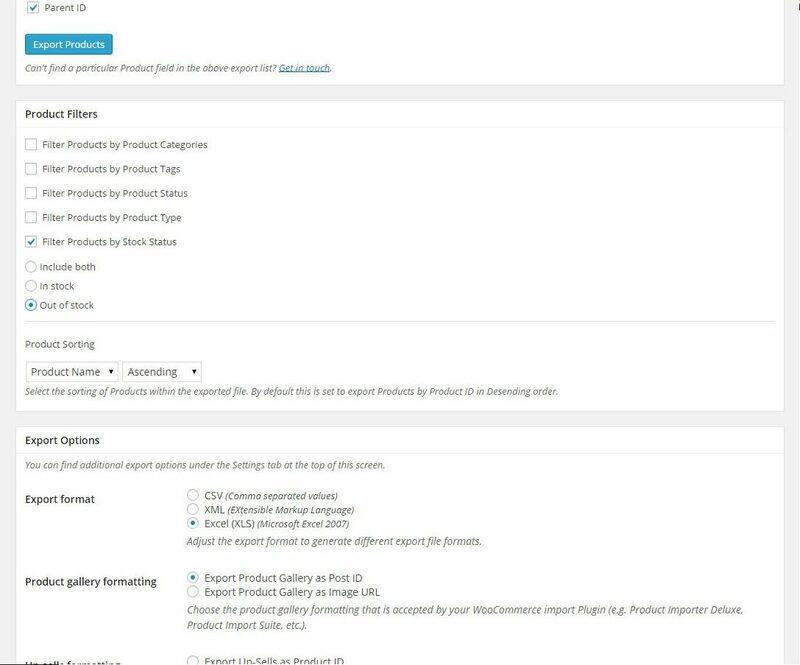 Is this plugin able to synchronize products between two or more woocommerce-pages via cron or automated in a daily routine? 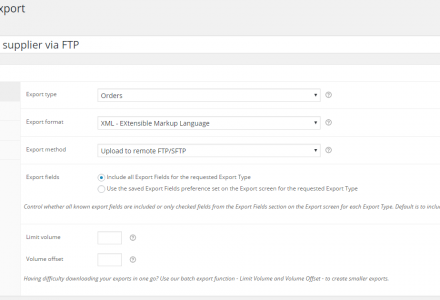 Hi Markus, this Plugin is limited to export capabilities only, you would need another WordPress Plugin to accept the Scheduled Export or CRON export which would import the export file into your other WooCommerce store. I’d be happy to discuss this further via Support after Checkout, if this Plugin does not suit your needs I’ll process a refund promptly. 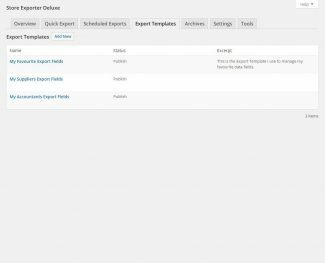 Are there use cases of this plugin successfully exporting ticket and attendee data from events created in The Events Calendar with Woocommerce ticketing? Hi Phil, thanks for asking, looking at past Support tickets I have helped over 40 customers with WooCommerce Events-related enquiries. 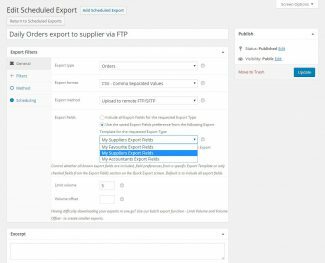 I have a task to make a dedicated Events Export Type as an extension of our integration of Ticket information as part of the Orders export type. 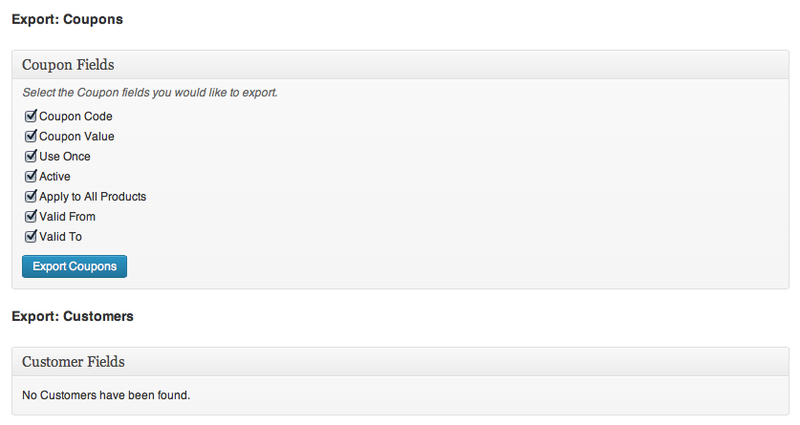 Feel free to raise a Support ticket after Checkout so we can modify the export to your needs. can you add this parameter from the plugin also?